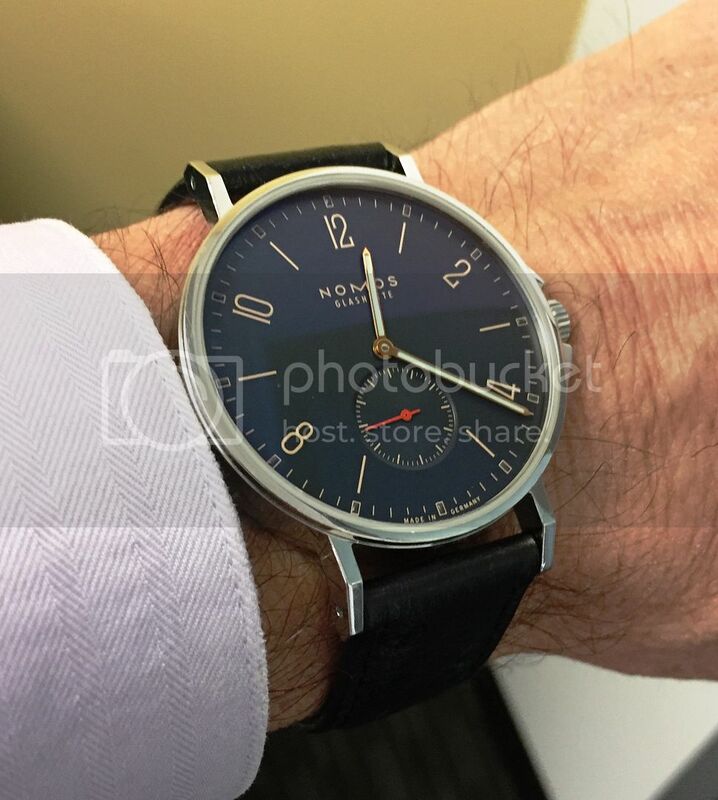 TimeZone : German Brands » Nomos via trade, rather liking it! Just got this last week in a trade. I really appreciate the Bauhaus aesthetic and color combination. Still looking for the perfect strap, as I don't really like the OEM strap. This watch wears oddly large for only 40 mm, I think due to the small bezel and longer lugs, but it still fits the wrist well.